Samsung Electronics today announced that it is bringing its next generation laundry innovation to the U.S.: the WW6850N washing machine featuring revolutionary QuickDrive™ technology. Responding to consumer demand for speed and cleaning performance, the 24” compact washer cleans laundry up to 35% faster for a thorough clean1, compared to current Samsung models. The WW6850N will be on display at the upcoming International Consumer Electronics Show (CES) in Las Vegas from January 9-12, 2018. With more Millennials than ever buying homes, this new cohort of digitally savvy homebuyers is demanding home appliances that incorporate meaningful, personalized technology to enhance their lives. The WW6850N with QuickDrive™ technology is just the latest in a line of differentiated laundry innovations, including the activewash™ Top Load Washer, AddWash™ Front Load Washer and FlexWash + FlexDry laundry pair. The WW6850N washer’s innovative performance starts with QuickDrive™ technology, which features a large main drum and a back plate that move independently. 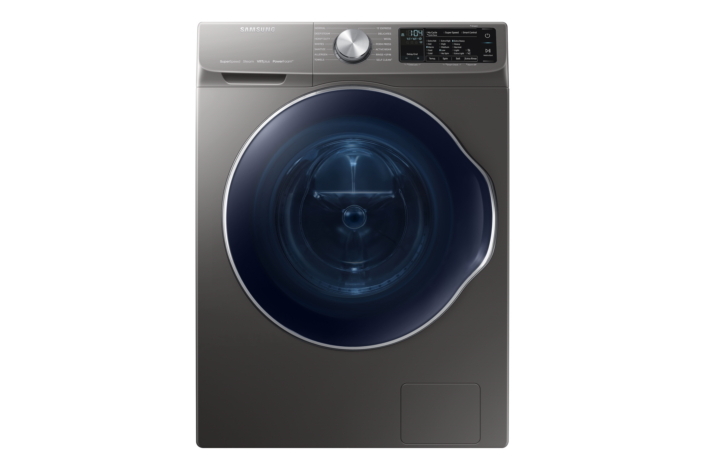 This creates a dynamic action that moves clothes in four directions – up and down, and back and forth – to quickly, gently and thoroughly remove dirt for a more powerful and intense wash cycle that takes up to 35% less time than other comparable Samsung machines1. Additionally, at 24” wide and stackable, the WW6850N washer and its companion dryer are an ideal size for small spaces like first floor laundry rooms or closets just off the master suite, to conveniently tackle loads quickly and effectively. Laundry Recipe provides automatic recommendations for optimal wash cycles based on the color, fabric type, and degree of soiling inputted by the user. Laundry Planner allows consumers to manage the time that a wash cycle will finish, adjusting cycle settings accordingly. A 2018 CES Innovations Award honoree, the WW6850N washing machine with QuickDrive™ technology will be available in the U.S. this year. 1 Tested on Samsung WW6850N with WW6800K. Saves up to 35% time on Heavy Duty (hot, 6lb load) with a washing performance within ± 3%, based on internal data tested by AHAM HLW-1-2013.